CHAPEL HILL, N.C. – Ben Nisle led the way with four hits and four RBI as No. 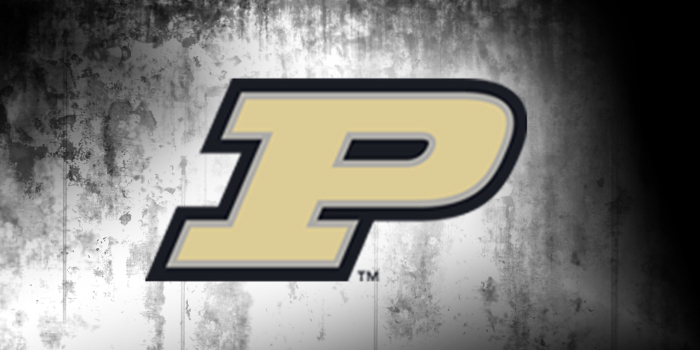 27 Purdue baseball scored 12 unanswered runs from the fourth through eighth innings to defeat North Carolina A&T 14-4 in NCAA Regional action Saturday. The Boilermakers (38-20) remained alive in the Chapel Hill Regional. They’ll take on the loser of Saturday’s North Carolina-Houston game Sunday at 1 p.m. ET. Purdue’s 14 runs and 14 hits both represent program highs in an NCAA Regional game. The Boilermakers’ 38 wins this season stand alone as the second most in the 130 years of the program. Purdue trailed 3-2 entering the fourth inning. But the Boilermakers scored four times in the top of the fourth and six times in the sixth inning to blow it open. Dalton Parker worked a season-high four innings of two-hit relief to help flip the momentum in Purdue’s favor. He retired 11 of the 14 batters he faced, pitching over a pair of leadoff singles and striking out four. The game was halted for 2 ½ hours in the eighth inning due to lightning and rain delays. Mike Kornacker worked an eight-pitch 1-2-3 frame in the bottom of the eighth and went on to close out the win. Trent Johnson (3-1) struck out the final two batters of the third inning as the first man out of the bullpen. Harry Shipley reached base safely four times and scored three runs. He recorded his 50th career stolen base and 100th career walk Saturday, becoming the first player in program history to reach both benchmarks. Shipley has reached base safely six times in 10 plate appearances for the weekend. Nisle has done likewise six times in nine plate appearances at the regional. He became the fifth Boilermaker with a four-hit game this season. Jacson McGowan joined Nisle with three hits, delivering RBI singles in the fourth and sixth innings. Skyler Hunter was 2-for-4 with two RBI and three runs scored. Alec Olund extended his career-long reached base safely streak to 17 consecutive games. Nisle delivered two-out RBI singles in the first and fourth innings. Hunter and McGowan also drove in runs in multiple at-bats. Purdue racked up five singles in its four-run rally in the top of the fourth. After a failed sacrifice bunt, the Boilermakers strung together five consecutive productive plate appearances, highlighted by RBI singles from Nick Dalesandro, McGowan and Nisle. Singles by Olund and Evan Warden ignited the game-changing rally. Two frames later, it was a much different big inning. Purdue drew six free passes in its six-run rally, sending 11 men to the plate despite recording just one hit in the top of the sixth. The Houston-North Carolina game started two hours late after the long delays late in the Boilermakers’ win vs. the Mid-Eastern Athletic Conference Tournament champion. North Carolina A&T ended its season with a 32-25 record.